FOIMan reviews – and recommends – journalist Matt Burgess’s new book on FOI. 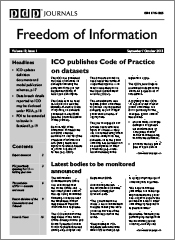 There are lots of blogposts and articles out there on freedom of information (some of them by yours truly). There are a handful of books, some very good but all written in an academic style often by lawyers for lawyers, and perhaps not that readable for the occasional FOI user. They are usually very expensive. So Matt Burgess’s new book, Freedom of Information: A Practical Guide for UK Journalists, gets off to a flying start because it is available in paperback for less than £25. That’s still not cheap for many of us, but it’s a heck of a lot better than the £40, £50 and more prices that most FOI textbooks will put us back. The good news is that that isn’t the only selling point for Matt’s book. Whilst nominally aimed at journalists, most people who want to use FOI to get information from public bodies, or indeed are just interested in the subject, will get a great deal from it. And it is very readable, especially compared to other books in this area. Matt provides a thorough, but not too heavily detailed, grounding in the essentials of the legislation – the exemptions, the cost limits, vexatious requests – before we reach the main body of the book. Here we find the real strength of this volume over other available texts. This is the incorporation of insights from people on both sides of the fence (and indeed straddling it) – users, practitioners and regulators. Matt spent a great deal of time interviewing people across the UK and beyond (and in my case, having to fend off FOI Cat as well) and the book really benefits from this range of first-hand experiences. The temptation for any journalist or user of FOI writing a book like this is to take a cynical tack, but I was impressed by the even-handed nature of Matt’s commentary. 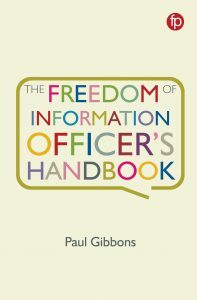 The impression given is that the author was genuinely interested to explore how FOI works in practice, and for that reason its practical use and interest will extend well beyond its target audience of the media. 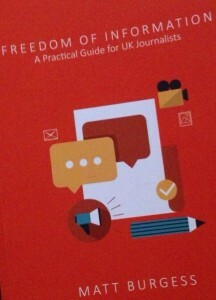 Freedom of Information: A Practical Guide for UK Journalists by Matt Burgess is published by Routledge and is available now. Journalists, bloggers and other users of the Act are invited to join Matt and I for our FOI Media Masterclass on 30 October in central London. To celebrate the launch of Matt’s book, I’m offering an Early Bird discount of 15% for bookings confirmed by the end of July. 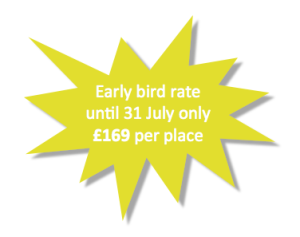 More details can be found on the FOI Media Masterclass page. 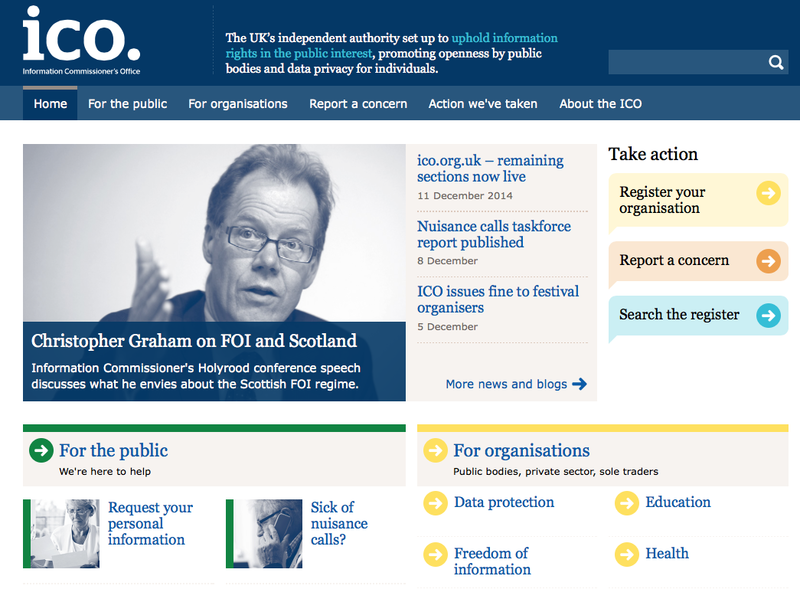 FOIMan reviews the Information Commissioner’s latest website revamp via a grumble about gov.uk. each group has perfectly rational explanations as to why they’ve chosen to structure their plan the way they have. 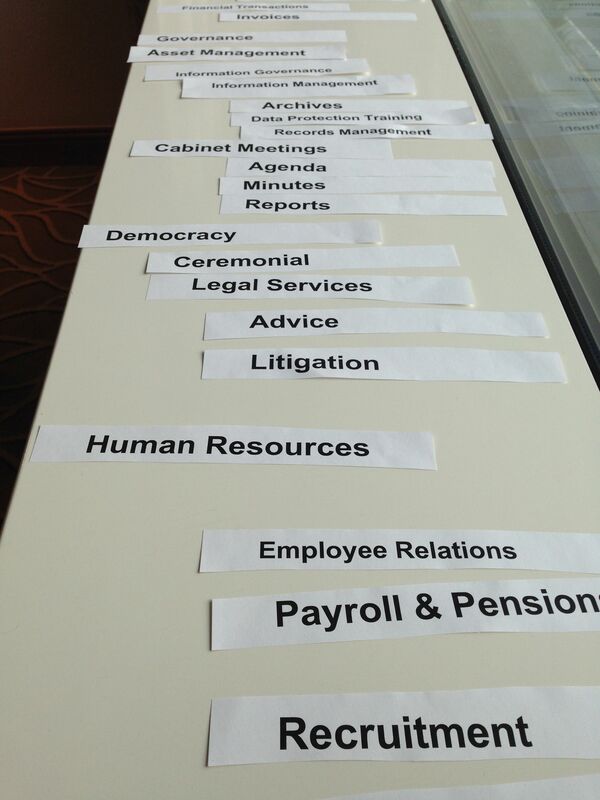 So anyone designing any information management system has a real challenge on their hands. Adding to this challenge is the fact that most people are wary of change. As a result, any new structure or mechanism to find information is going to meet resistance. I say all this as a preamble to a comparison of the government website, gov.uk and the ICO’s new website, which you can also read about on their blog. I was initially concerned when the ICO stated that they wanted their site to be more like gov.uk for reasons which I’ll outline, but my impression at this stage is that those fears were misplaced. The parts of gov.uk that work best for people are those which allow them to conduct specific transactions. So, for example, they can apply for a driving licence online. This works well for these kind of activities. It takes you through the process step-by-step. If you’re someone who isn’t used to computers, I’m guessing that it is quite reassuring, and I’m sure that is the aim. If government wants to get more people conducting transactions online, that’s what they need to do. Gov.uk has replaced lots of government websites with one interface. And lots of people – myself included – are mostly interested in using government websites to find information about policy. Sometimes that information is readily located through a search – for example I had little trouble recently locating information about Eric Pickles’ reforms of local government transparency. But far too often it is simply impossible to locate information using either the structure of gov.uk or its search engine. As others have suggested, it is sometimes because the information simply hasn’t been transferred – it isn’t there. But very often it is because there is so much information now on gov.uk that the information I do want is just buried. If government had said that they would develop a single site for delivery of services but maintain departmental sites so that people could get at the information ABOUT government, that would have kept us all happy. But no. Which brings me to the new design for the ICO site. They appear to have gone for a similar transactional style to gov.uk though delivered more effectively (of course, there isn’t as much material so it should be an easier task). If you’re a novice FOI Officer or you are considering making a request, you will probably like it, as it will take you through how to deal with or make a request step-by-step. One thing that initially worried me was that if you’re reasonably experienced, and you just want to double check something in a piece of ICO guidance – say, how to carry out a public interest test – you would have to wade through the process to get at the guidance you want. Lists of links might well be considered old-fashioned in web design circles, but they are easy to use. And usability should be near the top of requirements in any specification for a public website. So I was relieved to discover that the “Guidance Index” remains on the ICO website – albeit hidden away at the bottom of the page. This is a relief as in my experience the ICO’s search function suffers in much the same way as the gov.uk one. 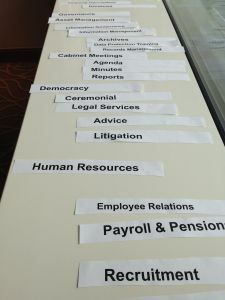 A search for a particular subject brings up a range of minutes, presentations, decision notices and so on, rarely including the document you want. It has improved somewhat, with more ability to filter searches, but a search on “public interest test guidance”, even restricted to the “For Organisations” section of the site, delivers a long list of results which fails to include the specific guidance the ICO provides on the public interest test. The decision notices database works reasonably well if searching on a single keyword, but appears to struggle with phrases. A few grumbles aside (I’d still like a separate list of the Data Protection Codes of Practice, for example), I think the ICO changes have improved their site. I’m pleased that by retaining features like the guidance index, they’ve found ways to cater for those of us old hands who were used to finding information in a particular way, whilst providing a helpful step-by-step approach for new users. The gov.uk site could certainly learn a thing or two from this – trying to make digital services accessible to new groups is a noble aim, but the needs of existing users of online resources should be taken into account as well. 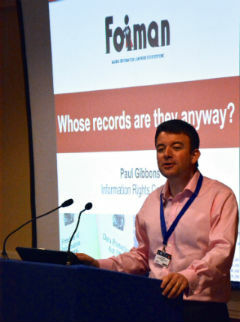 FOIMan reports back on the University of Winchester Centre for Information Rights’ recent conference on Trust, Risk, Information & the Law. Winchester University’s Centre for Information Rights is a relatively new player on the information rights scene. Launched just a couple of years ago, it has quickly established itself as an important host to academic debate on this aspect of the law. 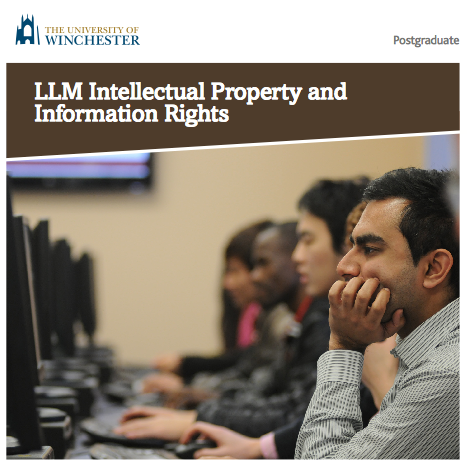 (And I will be lecturing on their new LLM in Intellectual Property & Information Rights from this Autumn). After a few successful evening seminars, this was the first attempt at a full-day conference organised by the Centre and its Director, Marion Oswald. What was most impressive about the event, held last Tuesday, 29 April, was its breadth of scope. At its core it was focussed on information sharing about children and the vulnerable (a topic that I’ve noted recurring at Winchester’s events, and rarely out of the news), but it also took on philosophy, international espionage and the world of fashion. If I have a criticism, it is probably that there were so many options in the break out strands (with several speakers in each) that it was difficult to choose sessions without fear of missing out on something interesting. The day opened with a keynote from Matthew Reed of The Children’s Society highlighting the importance of information to this charity in helping young people. Whilst rather high-level (as is often the case when Chief Executives are asked to speak on a subject) it was difficult to doubt Mr Reed’s passion and commitment. And it reminded delegates that at the heart of any discussion of information law is people, and particularly in this case, the vulnerable. In the first break out session that followed, and spoilt for choice as indicated, I ended up plumping for “Surveillance, encryption, state secrets and fashion!”. Our first speaker, Dr Cousido Gonzalez, was sceptical of Spain’s new Law on Transparency – talk of too many restrictions sounded familiar, but in truth it did sound as though our own FOI law compared extremely favourably. Dr Gonzalez cited the introduction of amendments even before the law has taken effect in support of her fears. This was followed by Lawrence Serewicz, a familiar face in FOI and data protection circles. Lawrence explored the rival philosophies on the State of Hobbes and Spinoza, ultimately asking if far from protecting us and our privacy, encryption tools prevent the State from protecting us effectively. Not surprisingly, such a view was not popular, but it nonetheless prompted stimulating debate. But what about fashion, I hear you ask. Well, this was a presentation made jointly by students of the London College of Fashion (University of the Arts London), with Winchester’s own fashion and law students. It highlighted the fact that as we move in the direction of ‘wearable technology’ such as Google Glass and smart watches (and even a walking stick with GPS), there are major privacy implications. The students made much of the inability of data protection law to keep up with the pace of this technology, and suggested that instead fashion and consumers themselves could provide the answers. So we were shown, as an example, a hoodie that has been designed with material that shields body heat from detection by airborne drones. It was a fun session, but clearly the points raised are important ones. The afternoon sessions – both plenary and breakouts – took me closer to the borders of my ignorance with two presentations referring to probability fallacies. The first, from Professor Norman Fenton, looked at the alarming regularity with which probabilities of certain events are incorrectly reported, or worse, given as evidence in court cases. Apparently Lord Justice Leveson has admitted that he doesn’t understand this concept, and I fear that many of us in the audience will continue to join him. What this means for our justice system is unclear. Later in the afternoon mathematical formulas made a reappearance in a study by Jack Manhire, an executive in the US Treasury (at pains to say attending in his own right), who had analysed the UK Information Commissioner’s Monetary Penalty Notices. He was attempting to see whether the ICO gave incentive to organisations to self-report data breaches. He concluded that at present this was not the case, and the ICO should consider changing its approach to provide an incentive to self-reporting. Whilst interesting, I couldn’t help wondering (with tongue slightly in cheek at this stage) if it wouldn’t have been easier to ask Iain Bourne of the ICO, who happened to be in the room, what the ICO’s policy on monetary penalties actually is. But perhaps the suggestion will be useful to the ICO – though it’s hard to think that it hasn’t already struck them. Dr Orla Lynskey, a lecturer from LSE, then outlined the evolution of the EU’s draft Data Protection Regulation and in particular she suggested, a gradual move towards a more risk-based approach (something which I heard the former Information Commissioner, Richard Thomas, advocate at 11KBW’s first Information Law Conference last year). The day concluded with a panel session on “[De]-anonymisation & Technology”. With care.data and HMRC proposals still causing heated debate, there was plenty to talk about. One question which is central to these debates is whether it is even possible to anonymise data successfully in the ‘big data’ era. Dr Mark Elliott of Manchester University stated that “it is possible to anonymise data, but it is a complex operation”. There was agreement on the Panel that media reporting hasn’t helped – exaggerating risks, reporting data as identifiable when it really isn’t. Dr Kieron O’Hara (Southampton University) plugged Paul Bernal’s entertaining Downfall parody on care.data but spoke eloquently about the difficulties with anonymisation – asking if the decision as to whether data has been sufficiently anonymised should be made based on a bunch of students in a well-equipped computer laboratory with nothing better to do, or on the ability of the man in the street. He was sceptical though of both the HMRC proposals and of care.data, musing on the latter that it appeared we would continue to be consulted until we agree! The consensus on the panel (and there was no real disagreement on any point, perhaps disappointingly) was that compliance with the law was one thing – it was also necessary for organisations to retain public confidence. A fascinating conference exploring a smorgasbord of topics from an unusual range of perspectives. It would be great to see it repeated next year.